If you enjoy this series, please show Rikachi some love and buy the books in Japanese. Yes, you can buy them from Amazon US! 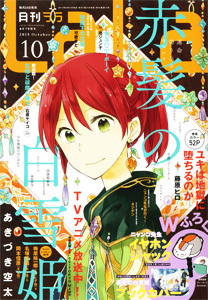 Chapter 4 marks the end of the first volume and is the middle point of this series. Volume 2 will be about Kiwako’s next phase of development as a skater and a person. I’m looking forward to finally doing a formal translation of volume 2. Kiwako is one of my favorite shoujo heroines. Next up is “Kanojo ni Naru Hi” Chapter 14 is coming up next in 2 or 3 days followed by “Magical Change” chapter 5. Aww, how could you have doubts? This series is so wonderful! I’m sad that not many people are reading it. But I’m glad you’re enjoying it. THIS IS AMAZING. Omicow. I love both lead females. Reading the second chapter I was think I was gonna dislike Kiwako, AND THAN CHAPTER THREE AND FOUR KILLED ME. So good. I need more. I’m glad you liked it :). Thanks for giving it a try! I’m really glad that the author told the story from both females perspectives. There’s no way I could hate or find anyone girl annoying since we understand both point of views.